65mm Synthetic Hemp Rope sold cut to length. 4-strand cable laid 65mm synthetic hemp rope sold cut to length by the metre. 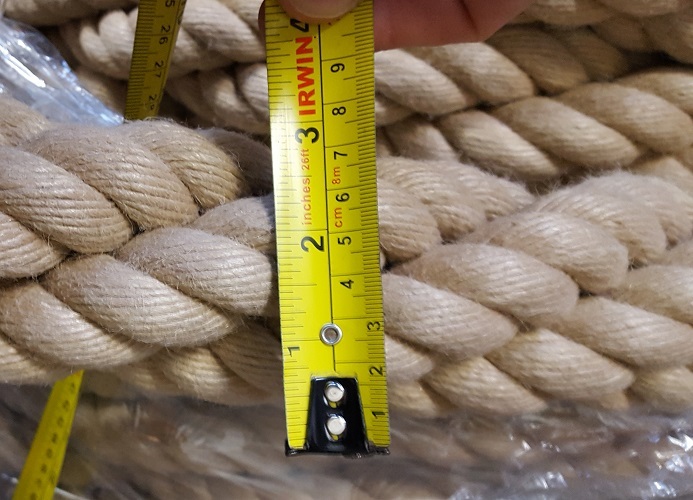 Please order the length you require in metres in the quantity box and we will send your rope as one continuous length. 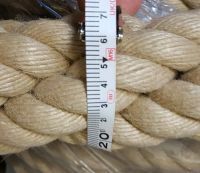 If you would like more than one length of this 65mm poly hemp rope, please order the total length in metres and when checking out put a note in the 'delivery notes or comments' box about the individual lengths you require. A strong weatherproof synthetic rope made to look like a natural hemp. 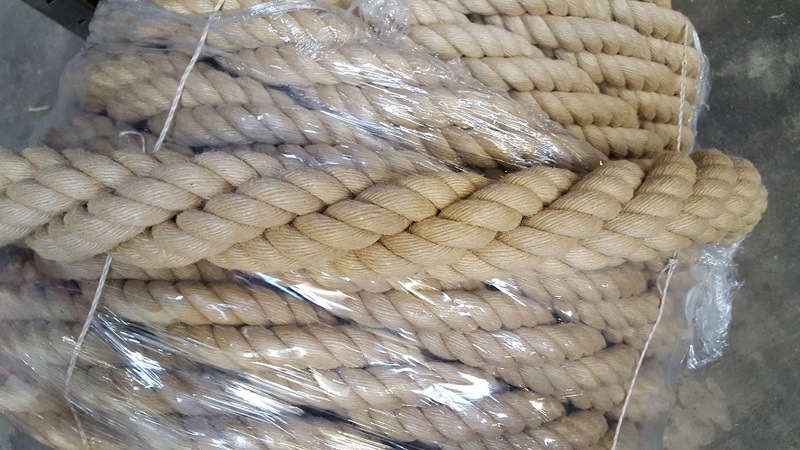 This soft handling rope is ideal for outdoor use and particularly suitable for garden decking as well as a traditional boat fender rope. Our bulk coils are 65m (and heavy!) so the maxium continuous length we can supply is 65m. A noticeable discount is available for bulk coils which would be delivered on a pallet - please contact us for price and availability. 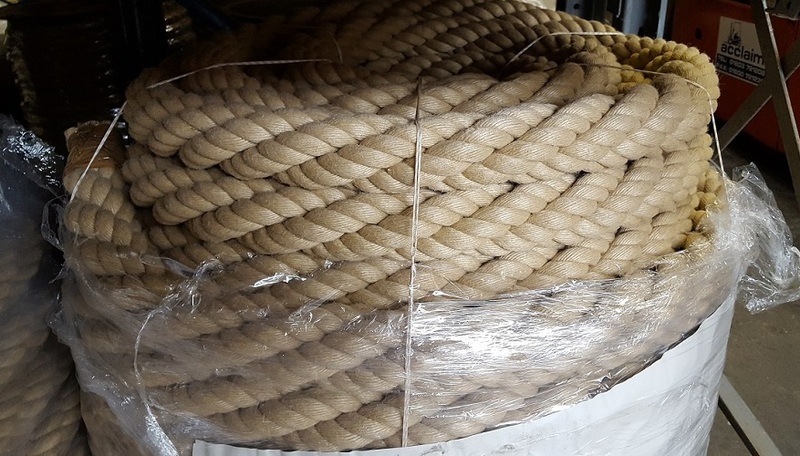 There is a core down the middle of this rope (it helps in manufacture) which can be used to pull through a steel cable when used as a fender rope. This Hempex rope is manufactured in Europe for Ropes Direct.